Launched as a unique photo-sharing social platform in 2010, Instagram now has one billion users. The mainly mobile platform is a must-have for Millennials, and now for Generation Z as well. And it’s not just a photo-sharing app anymore, it’s one of the most effective business builders around. With the power of today’s smartphones, Instagram has become a place for carefully curated images that showcase the most unique and interesting aspects of someone’s life. And this highlight reel has led to many young adults becoming international social media stars. It’s no secret that Millennials and Gen Zers are certainly fascinated with Instagram stars. Social media expert Evan Britton, founder of Famous Birthdays, recently said that “Instagram has become two monster platforms inside one,” meaning that the type of content posted in the main feed differs widely from the newer Instagram story feed, and as a result user engagement on the platform has increased. 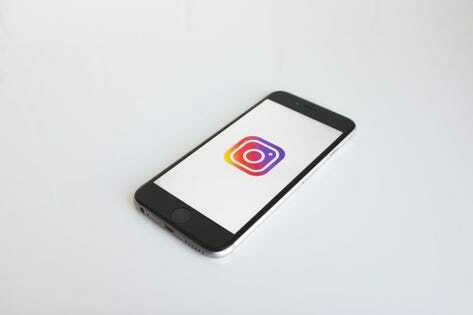 Instagram’s popularity is second only to Snapchat, and remains the preferred social network over Facebook and Twitter for teenagers in the U.S. due to its appealing visual nature and high user engagement. Though they might be mostly teenagers now, Gen Zers, aged 13 to 21, will have the lion’s share of global buying power in approximately 10 years. And millennials have latched onto the power of Instagram as one of the most effective marketing tools for the younger generation. “I never thought that Instagram would be this big. Companies are now spending billions of dollars on influencer marketing and advertising on Instagram. I never expected that influencers like myself would be traveling the world for free and getting paid to create content and promote products. 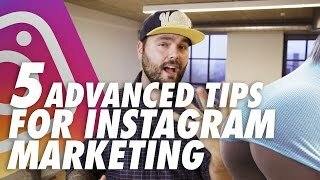 A ton of people are making full-time careers out of this,” says Zach Benson, founder of Assistagram, a company that provides growth, content, and branding strategies on Instagram for established and up-and-coming entrepreneurs. 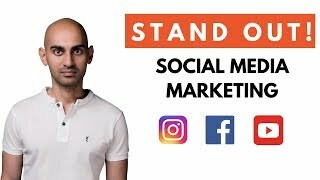 Benson, a former dance instructor who made an appearance a few years ago showcasing his unique breakdancing moves on the show So You Think You Dance, shares why Instagram is shaping the next generation of entrepreneurs, and how to effectively market your business on the social network. According to Statista, top global brands that use Instagram include auto, fashion, beauty, travel, and retail. Pop stars like Ellie Goulding have used Instagram to market their music; Goulding compiled fan-submitted photos for a second-take video for her 2012 song Anything Could Happen. The filtered photos illustrated the song in a more organic way than the initial polished production. And Warner Bros. recently relied heavily on Instagram to promote the box office hit, Crazy Rich Asians. But the majority of the 25 million businesses that now use Instagram are small businesses, from clothing retailer Man Outfitters, to Letterfolk, a company specializing in felt letter boards for the home. Many small businesses are blowing up by taking strategic advantage of artsy visual posts, story feeds, and Instagram Direct messaging. “People are struggling to sell their products, services and ‘themselves’ because they don’t know how to get their stuff out to the world,” Benson says. User-generated content is key not only because it tends to me more authentic, but consumers rarely respond to polished branded content these days. Instead consumers value candid posts and conversations via social media, as that gives them the human touch they don’t typically get in today’s digital business landscape. Instagram is certainly the place for young consumers to show off fabulous moments of their lives, whether that be their travels, time spent with significant others, cute moments with pets, or the hustle and bustle of their work days. And the secret Instagram, or “finsta,” allows people to share their not-so-glamorous moments, which do happen. Brands have the opportunity to reflect all of this for the younger generation. “Everyone has a story,” Benson says. “There’s so many talented people all over the world, whether they be dancers, actors, or people who have really great products and services, but nobody knows about them or has heard of them.” There are abundant opportunities to craft their stories and share them on platforms like Instagram. Gen Z is the first generation with the world literally at their fingertips. The content on Instagram, generated from people all around the world, coincides with that perfectly. Being constantly connected makes this generation feel worldly, they don’t feel tied to any one place or job, as they have endless amounts of knowledge and opportunities at their fingertips. They prefer working for themselves, or working remotely as physical offices seem unnecessary, and prefer to communicate through smartphones versus laptops or computers. It's critical for businesses to make their mobile experience seamless and engaging, as this is where the younger generation is spending their time. Teenagers are constantly checking their smartphones; in fact, they check their phones approximately 150 times throughout the day. This generation, much like Millennials, has a need for instant gratification and wants to be connected as much as possible. Smart phones are a simple way for them to connect to the rest of the world quickly.